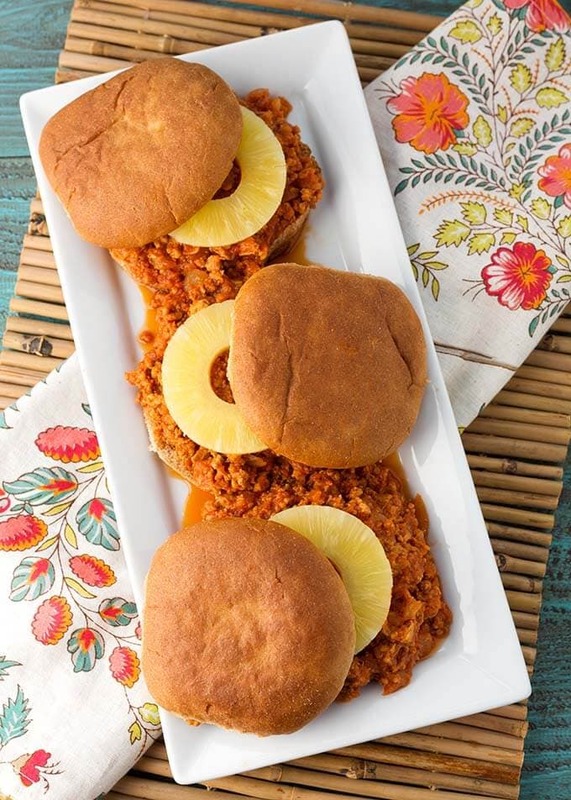 Instant Pot Hawaiian BBQ Sloppy Joes are a delicious family dinner, perfect for a weeknight. A rich sauce with the tangy sweet flavors of barbecue and pineapple, piled on a hamburger bun. This pressure cooker Hawaiian Sloppy Joes recipe is a winner! 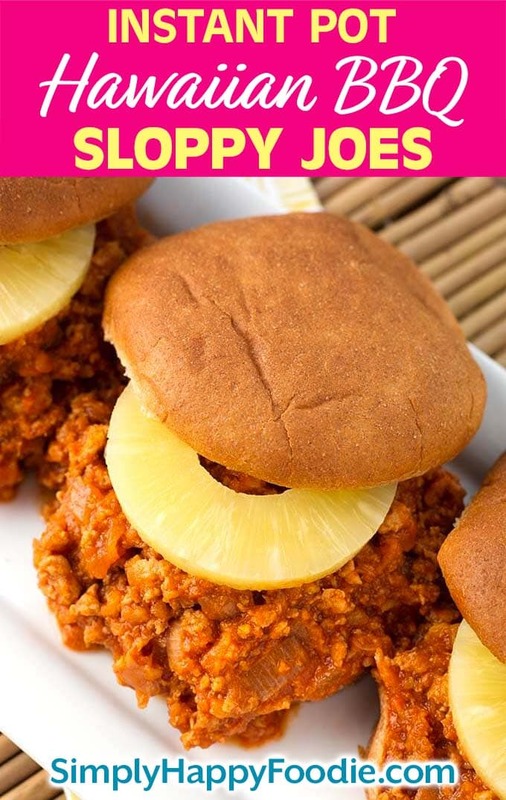 Sloppy Joes are one of my favorite meals from my childhood! Even the kind from the can was good to me. 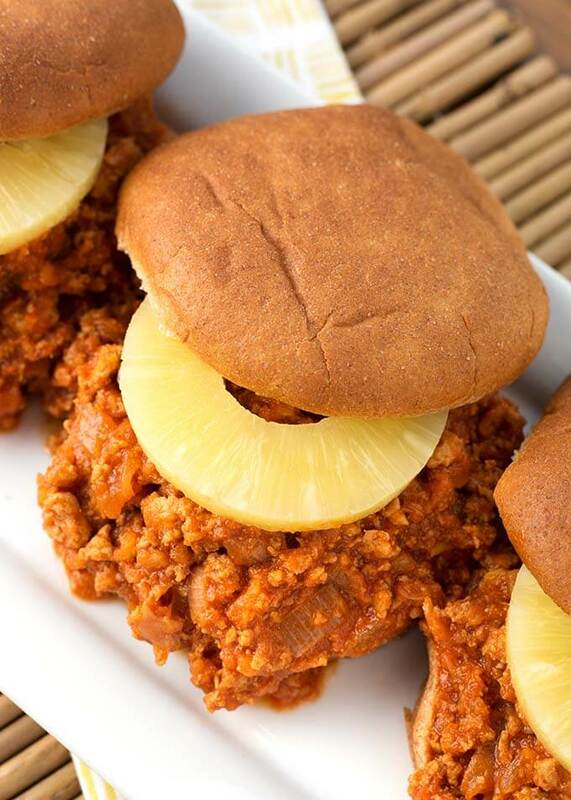 This recipe is a little twist on the traditional Sloppy Joe, it’s a Hawaiian BBQ style! I’ve created a very flavorful sauce that tastes absolutely delicious! Pineapple and Barbecue go very well together! When you are in a dinner rut, and have a family to feed, try these pressure cooker Sloppy Joes with a Hawaiian barbecue twist to them. They are a little tangy, and a little sweet, and easy to make. 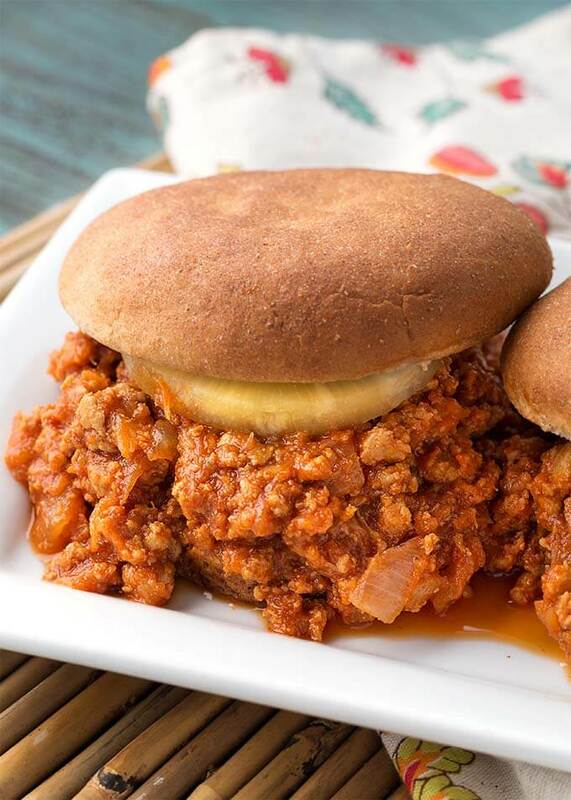 This Instant Pot Sloppy Joes recipe can be on the table in under 45 minutes! Perfect for a weeknight meal, or when you need to get a delicious dinner on the table fast. What is the Best Meat to Use for Sloppy Joes? I like to use 90% to 97% Lean Ground Turkey, as I don’t eat a lot of beef. 90% to 97% Lean ground Beef is also good to use in Sloppy Joes. I haven’t tried it, but Ground Pork would be delicious as this is a Hawaiian style recipe. There are a lot of ingredients! Yes, but whenever you are making a barbecue sauce, it takes several ingredients as it is a very flavorful sauce. More ingredients equals more flavor! 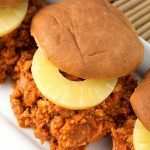 Instant Pot Hawaiian BBQ Sloppy Joes are a delicious family dinner. A rich sauce with the tangy sweet flavors of barbecue and pineapple, piled on a hamburger bun. This recipe is a winner! Turn on the pot's Sauté setting. When it is hot, add the olive oil and the onion and cook for two minutes, stirring occasionally. Add the ground meat and stir, breaking it up. Cook about 3 minutes. Add the ginger, chili powder, smoked paprika, red pepper flakes, salt, and pepper. Stir well. Add the soy sauce, Dijon, vinegar, teriyaki sauce, and brown sugar. Stir well, and cook for 1 minute, stirring frequently. Add the crushed pineapple and stir. Add the ketchup and tomato paste, but do not stir. Leave it sitting on top. Turn off the Sauté setting. Press the Pressure Cook/Manual button or dial, then the +/- button or dial to select 4 minutes. High Pressure. The pot will take several minutes to come to pressure. When the cook cycle has finished, turn off the pot and let it sit undisturbed for 5 minutes. Then turn the steam release knob to the Venting position to release the remaining steam/pressure. Stir the sloppy joe mixture. Serve on Hawaiian or whole wheat hamburger buns and top with a pineapple ring before adding the top bun. Aloha! Calories are calculated without the whole wheat buns. 1 bun is approx. 151 calories. Yum! This was a big hit with my kids! They ate all of it.